Moto E4 Plus With 5000 mAh Of Battery Now In PH Too, Priced At PHP 8999! Home / mobile / moto / news / Moto E4 Plus With 5000 mAh Of Battery Now In PH Too, Priced At PHP 8999! 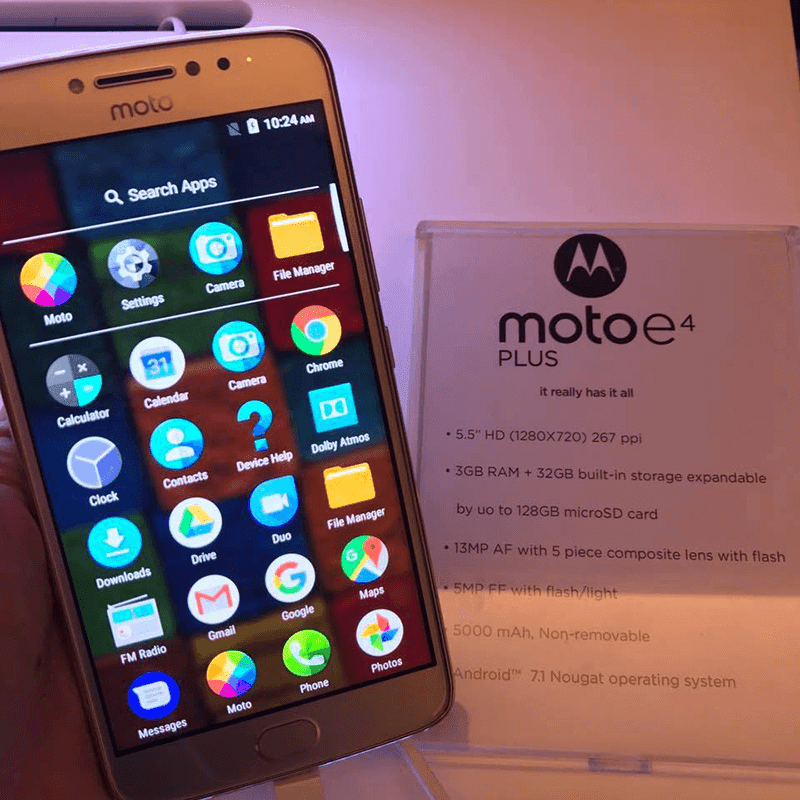 Motorola has also made the Moto E4 Plus official here in PH, the latest handset from the company equipped with whopping 5,000 mAh of battery capacity. Specs-wise, the Moto E4 Plus is also a promising handset. The handset boasts a 5.5 inch HD IPS screen, 1.4 GHz 64 bit Snapdragon 427 quad core processor, 3 GB RAM, 32 GB of expandable storage, 13 MP main camera, 5 MP selfie camera w/ flash, LTE connectivity, fingerprint scanner, and the latest Android 7.1.1 Nougat operating system. The Moro E4 Plus is just priced at PHP 8,999! Not bad!